Who on Earth is the Goldenoldie? Golden Oldie and First Born Take Off to Serbia. Golden Oldie Goes Off to Check Out Vikings – said to be founders of Russia. 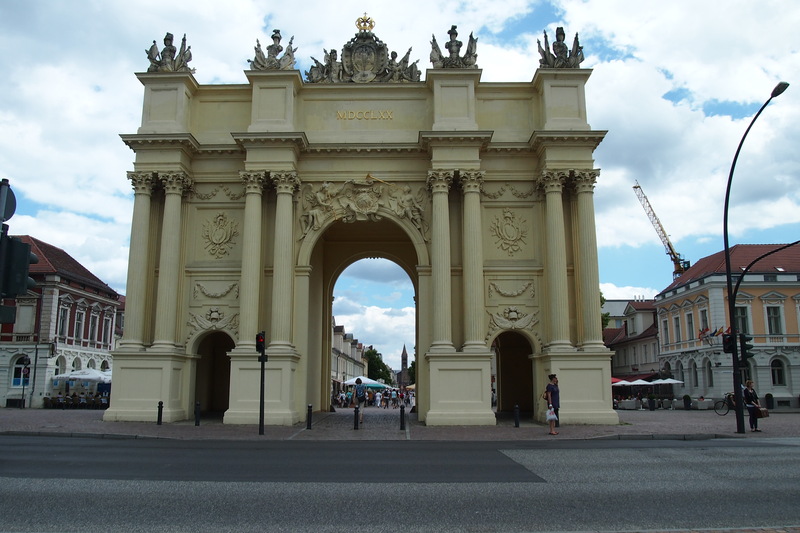 My friend in Poland had also sent a list of things to see and do in Berlin, some of which I had never heard of, those places were located in Potsdam. That meant I needed to find my way out there. How much could I get done in one day? I had no idea but off I went on the next adventure..
What an education I had that day. I had no idea of the goings on in Potsdam over the centuries. But wow, a choir gifted to the Kaiser by the Tsar, Alexandrowka a Siberian style village built to house the choir, the cutest little chocolate box Russian Orthodox church in the forest, palaces, spies, KGB, cloak and dagger stuff, nasty prisons and all amongst some of the most amazing architecture and history as well as construction achievements. And that was only a part of what is there to see and experience. Apparently a lot of the island was a swampland so the Dutch were called in to design and stabilise the ground before building could commence, so pretty much a large part of Potsdam is sitting on thousands of logs just like Venice. Sadly there wasn’t enough time to cover everything and although I wanted to go back the next day I didn’t make it. I caught the S-Bahn train from Berlin to Potsdam (there are 2 different trains to catch, the Regional Express takes 20 minutes and the S-Bahn takes 40 minutes). At Hauptbahnhof Potsdam there was, of course, the obligatory coffee and breakfast first then off to the information centre. 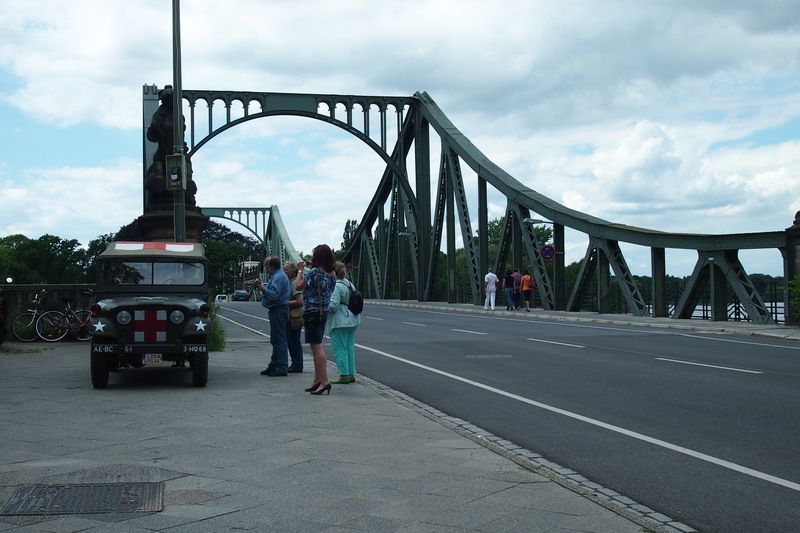 I realised that the only way I would see a reasonable amount of Potsdam was to get on the local hop on hop off bus. Now here was where I first came across the possibility that not everything that the guides on the buses say is true, or perhaps it’s that not everything you look up in Google is true. The world has become a place where we can never be sure what is true and what isn’t and what may be embellished, as they say ‘never let the truth get in the way of a good story’. I guess like all history it changes according to who is telling the story. I feel the same frustration sometimes (as I try to verify information from my trip) as I did when researching for history essays in university. Back then I could throw the books at walls as they each contradicted each other, can’t do that with a computer, it would be a very expensive exercise, and anyway it’s not the computers fault. 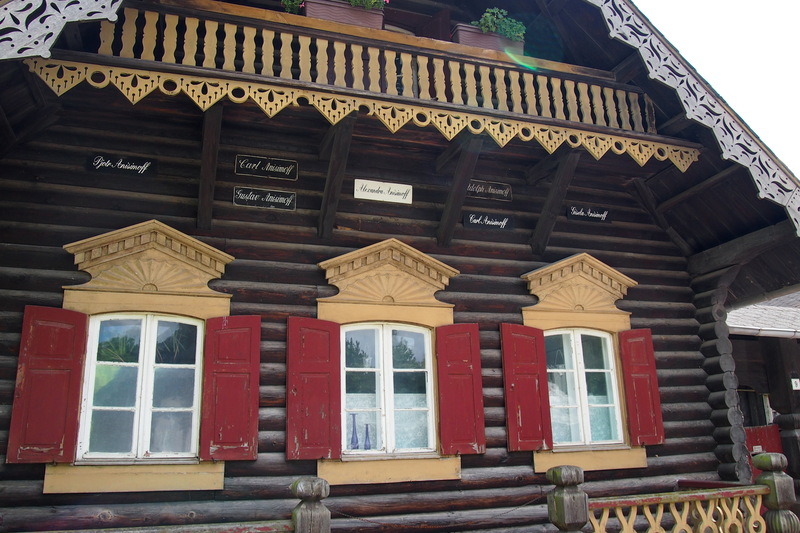 On the bus they told us that when Queen Louise died her husband King Friedrich Wilhelm III was given a 62 man choir by his friend Tsar Alexander I of Russia because the king was deeply mourning his wife and the Tsar knew how much he loved the melancholic Russian songs. The internet version dates back to 1812 when the Prussians were forced by Napoleon to support him in his attack on Russia. The Prussians took a number of Russian prisoners and out of those 62 men became the choir, performing for the King. Eventually The King and the Tsar became friends and the choir stayed in Potsdam. After the Tsar died the King built the village of Alexandrowka in the style of Siberian architecture to house the surviving 12 singers. There is a much longer story to all of this and I’m still not sure which one is the right one but I tend to believe the Napoleonic War version. The other one is cute though and so much more romantic. There are many websites with information so I won’t go into a full history lesson here. 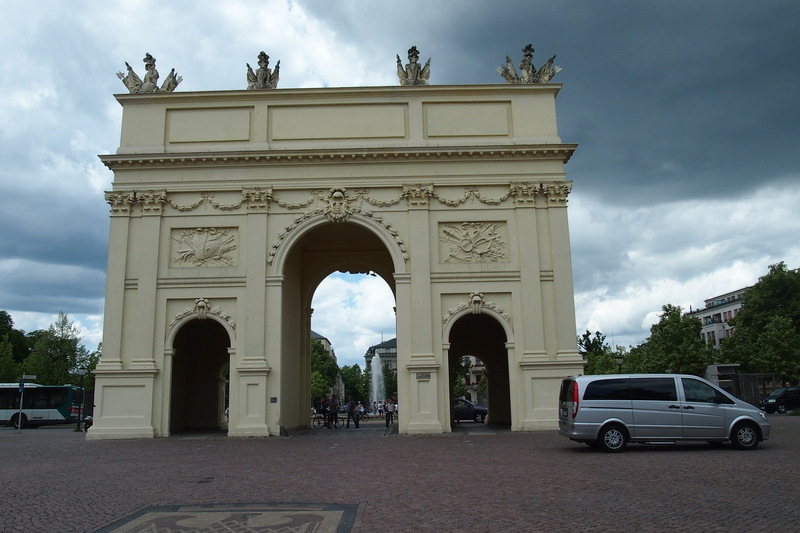 First stop the Potsdam Brandenburg Gate (not to be confused with the one of the same name in Berlin). Rather interesting architecturally as it has two different sides caused by it being created by two architects. The first exchange took place on 10 February 1962 (I was only 11 years old and living on a farm so no wonder I didn’t know much about this and only picked up on bits and pieces later). The Americans released Soviet spy Colonel Rudolf Abel in exchange for American spy-plane pilot Francis Gary Powers captured by the USSR after shooting down his U-2 spy plane in Soviet air space. While I was there a parade of army Jeeps passed by, I suspect that they are probably a tour or perhaps enthusiasts, more likely a tour company. I wondered if anyone had tried to swim the river to escape. 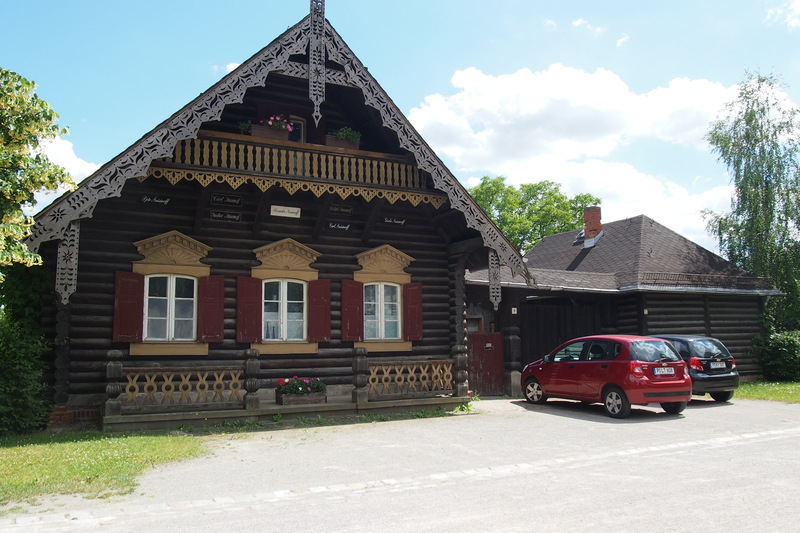 My next major stop was the cute village of Alexandrowka, I was interested in the houses and the whole concept of a reproduced Russian village in the middle of Potsdam. I’ve mentioned the alternative histories earlier so won’t repeat that. It was quite a walk from the bus stop but well worth it, cute little houses, so well maintained with family names on each house, I haven’t been able to find out if those names are of the original inhabitants, perhaps someone can enlighten me on that. The village is built in the shape of St Andrews Cross (patron saint of Russia) and had massive orchards and gardens. The front of the house has occupants’ name inscribed. 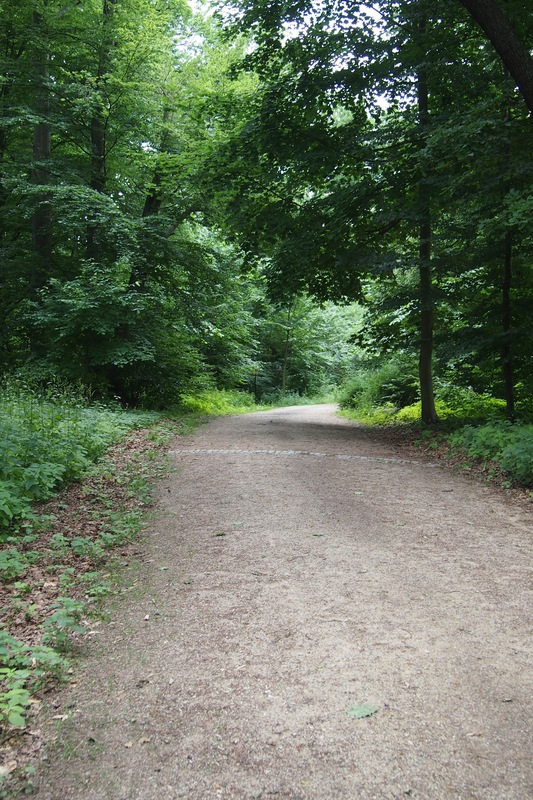 I wanted to find the Alexander Nevski church which apparently was built so the choir members had somewhere to worship, so off I went, map in hand up Nedlitzer Strasse towards Kapellenberg hill. 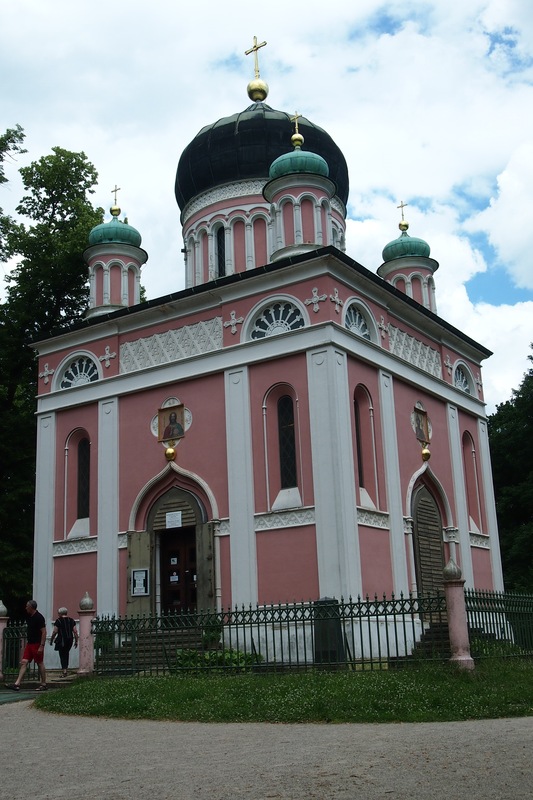 It took a while walking the length of Alexandrowka then up the road, turning right onto a forest path and there, in amongst the trees is the cutest little chocolate box church I have ever seen. I only noticed the ‘no photography’ sign inside the church after I’d taken a couple of photos – ooops. I had a chat with the lady selling candles, did the right thing and placed a few in the candle holders and discovered that they also sold icons. I found two which are normally hard to find, my Mother’s saint (Tamara) and a Ukrainian friend’s saint (Lydia). You see the Russian and Ukrainian Orthodox church can not christen a child within the church unless they are given an Orthodox saint’s name, so we all have a saint and a name day to celebrate. Other Orthodox cultures aren’t so strict on their naming style eg the Serbs have a family saint rather than an individual one. So after paying my respects to the still operating church (it apparently still has 90 or so parishioners and is affiliated with the Holy Synod in Minsk) it was a long walk back through the forest and the village to the bus stop. It was getting late in the day and I realised that there was no way I would be able to visit the Sanssouci Palace, what a shame I was looking forward to that. I thought I would get back there the next day (my last day in Berlin) but that didn’t happen, I said the phrase ‘oh well you can’t do it all’ many times during my trip. The bus drove past the Palace and it was quite obvious that you would need quite a bit of time to see it properly, rather like the Schonbrunn in Vienna which took the better part of a day to experience. They pointed out the KGB headquarters and prison, the Dutch Quarter built from 1733 for the Dutch craftsmen, the hunting lodge, the parks and so on. 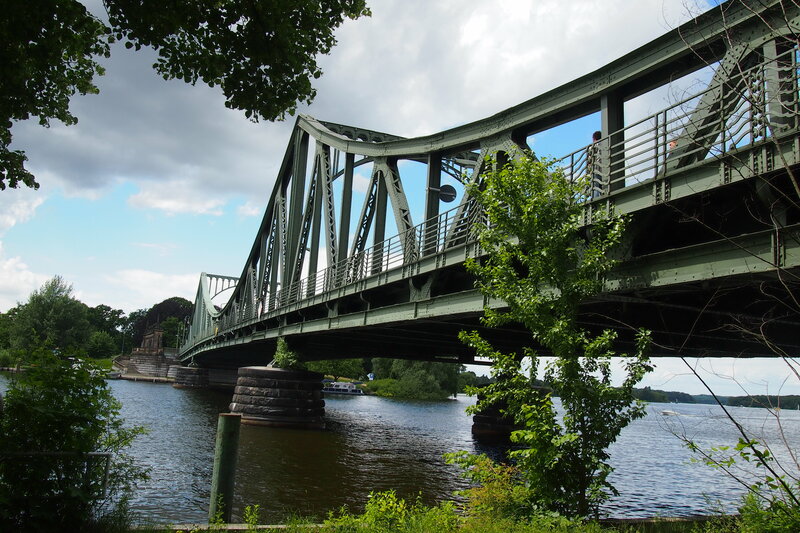 There is so much to see and do in Potsdam that one day is just not enough. 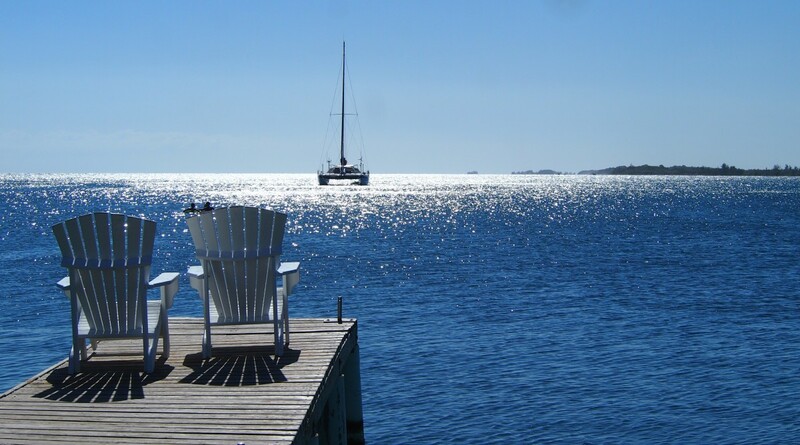 Potsdam is definitely one place I really want to go back to. Next time I think I will stay in Potsdam itself for a few days so I can get to see all that it has to offer and enjoy the Russian café, the Dutch restaurants and go inside all of the historical buildings and the surrounding areas that were also recommended. 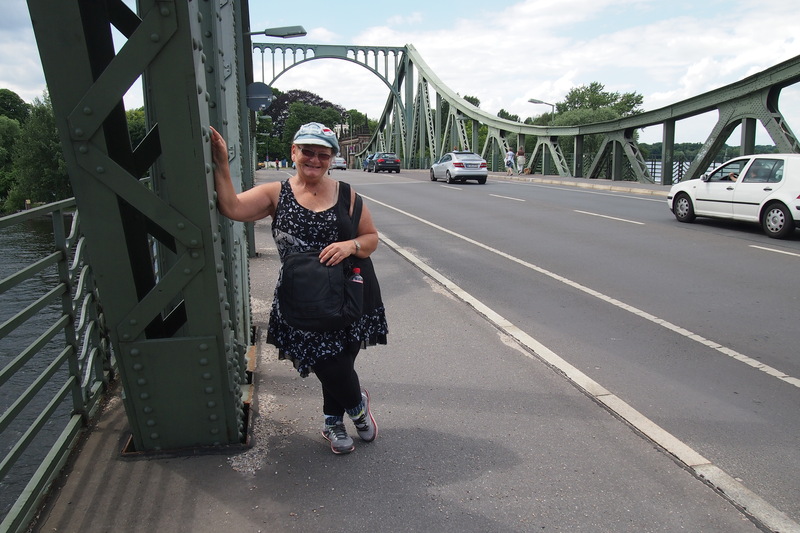 I was very grateful to both my friends for the lists of things to see and do in both Berlin and Potsdam and one day I will go back and see the rest. Yes, Potsdam and Berlin are calling. goldenoldietravel Create a free website or blog at WordPress.com.